Ready to Choose the Right Learning Management System? Buying an LMS is an important investment – an informed decision has to be made. The more you understand your organization’s training needs and technological requirements, the easier it is to zero in on the right LMS. 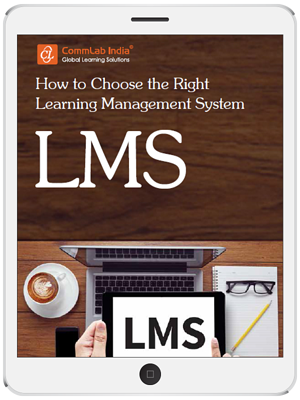 This eBook provides insights on selecting on the right LMS. It is an asset to both organizations migrating from traditional classroom training to eLearning, as well as those keen on replacing their existing LMS.